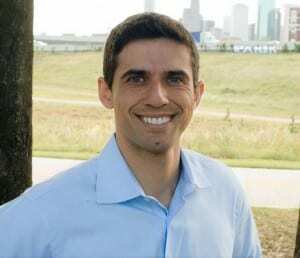 In the First installment of the 2015 Texas Leftist Candidate Questionnaire, we hear from Philippe Nassif, a candidate for Houston City Council, At Large position 5. PN: I am not. I am a first time candidate. PN: Government is important not simply because it provides us as individuals with certain services and benefits, but also because it is the primary way to promote important values that are good for us and that is in the public interest. Values such as Justice, Liberty, and Equality are important for all of us and government is here to protect and promote them for all of its citizens. PN: My first priority in office would be to convene state and local elected officials after declaring Houston in an state of “ traffic emergency” to figure out quick and efficient practices the city can do with the resources we have to fix our traffic and pothole issues. This coalition will work with other transportation groups to see what has worked in other cities and states around the country and put those into our best practices, as we involve all levels of government and community organizations. The end result would be an overhaul of speed limits in neighborhoods, promoting bus usage, light rail planning, debris free roads, bike lanes and biker safety, and better planning for our highway systems to meet a booming population. PN: I support ReBuild Houston, however there needs to be an increase in transparency so that Houstonians can be confident that funds are being spent efficiently. I would like to see it strengthened in order to accommodate our rapidly growing population and increasing drive towards urbanization and densification. I would also like to see ReBuild Houston projects advance in low income communities where investment in infrastructure is needed most. TL: At present, the city of Houston has one of the strongest forms of “strong-Mayor governance” in the state of Texas, to the point that the Mayor alone decides what business comes before City Council. If elected, would you support an amendment to the City Charter that would allow any coalition of 6 Council Members to place items on the Council Agenda without prior approval from the Mayor? Whether yes or no, please explain your answer. PN: I would most certainly support such an amendment. A healthy democracy is one that is characterized by debate and the free exchange of ideas. It is difficult for our city government to fully function and effectively carry out its duties if City Council is unable to even place an item on the agenda. I believe the time has come for us to correct this issue and empower City Council to play the role it is intended to play in order to better serve the people of Houston. PN: I would absolutely continue to seek the complete streets policy implementation and support it in full. We need to repair our infrastructure and in that same process modernize it by making it more pedestrian and cyclist friendly. PN: Both of my parents immigrated to the United States. My father came in the 1970’s from Lebanon and my mother came from Mexico. They raised me along with my two siblings with a philosophy that we have to give back to the country that welcomed them and allowed them to build their career and family, and also to respect all viewpoints and beliefs of those around us. I am running for Houston City Council At-Large Position 5 because I want to serve the people of Houston and give back to the city that has given myself and my family so much. At-large position 5 is currently held by an incumbent who has continuously voted contrary to the interests of the majority of Houstonians. 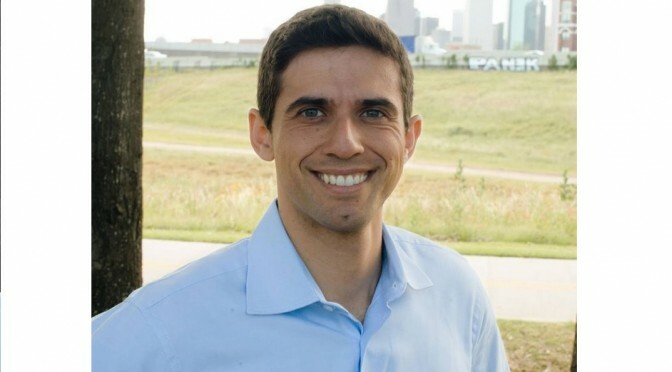 He took office promising Houstonians that he would serve the public and move our city into the future, but has instead voted against our interests time and time again, such as his vote against HERO, vaccinations for underserved children, fixing potholes, and other major infrastructure issues. What we need is a leader who will listen to the people, lead on issues that matter to Houston, and serve the public and not work against it. At-Large members should be in the community, looking at the larger policy issues that affect all of Houston, not hiding in city hall. I will be a community focused at large member who will stand shoulder to shoulder with the all Houstonians and working people, ensuring our rights are respected, our economy continues to grow, that people are safe, and our infrastructure is sound. This is why I believe I am the best candidate for Houston City Council At-Large Position 5. PN: I spend my free time with my girlfriend and family enjoying Houston’s many amenities! Experiencing Houston’s booming restaurant and café scene with friends and family is one of my favorite things to do. I also enjoy biking along buffalo bayou, running in memorial park, and other outdoor activities. I have been a lifelong martial artist and practice Muay Thai at Houston Muay Thai in downtown, in addition to going to the gym regularly. And I am a big reader as well! Thanks to Mr. Nassif for the responses.